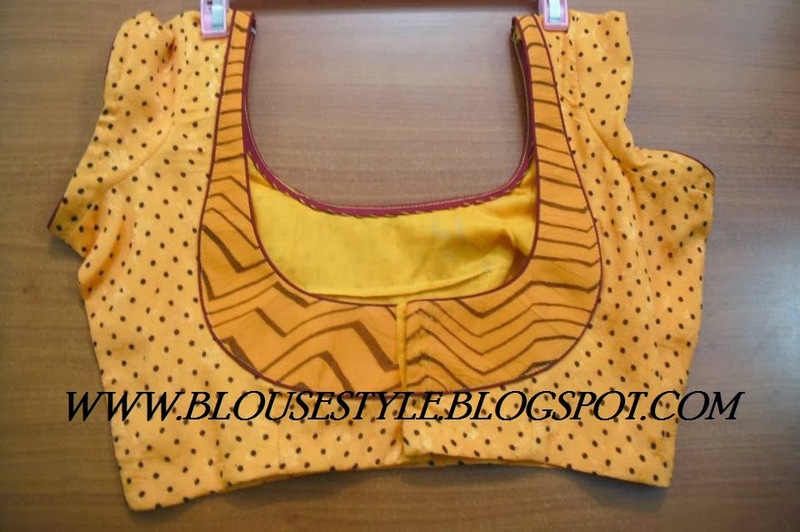 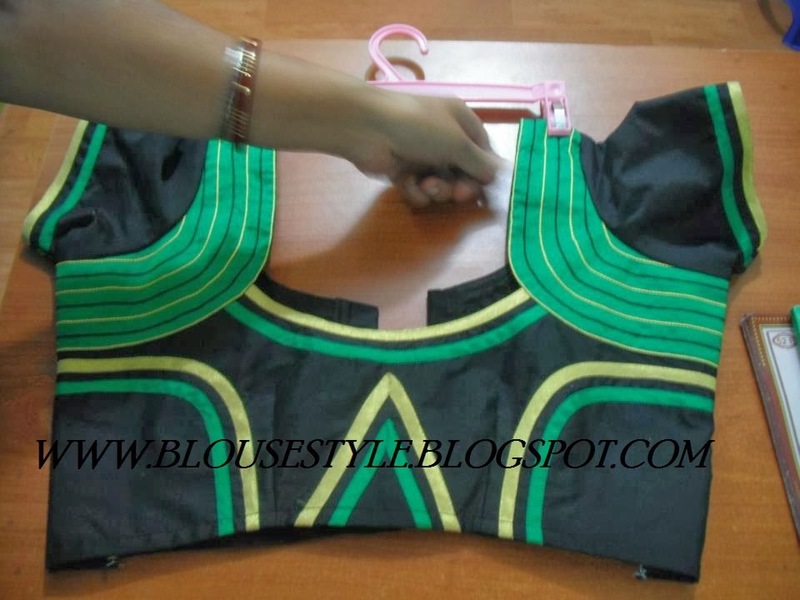 This blouse for yellow colour with black dot print and round neck ,piping stitch blouse and cap sleeve blouse . 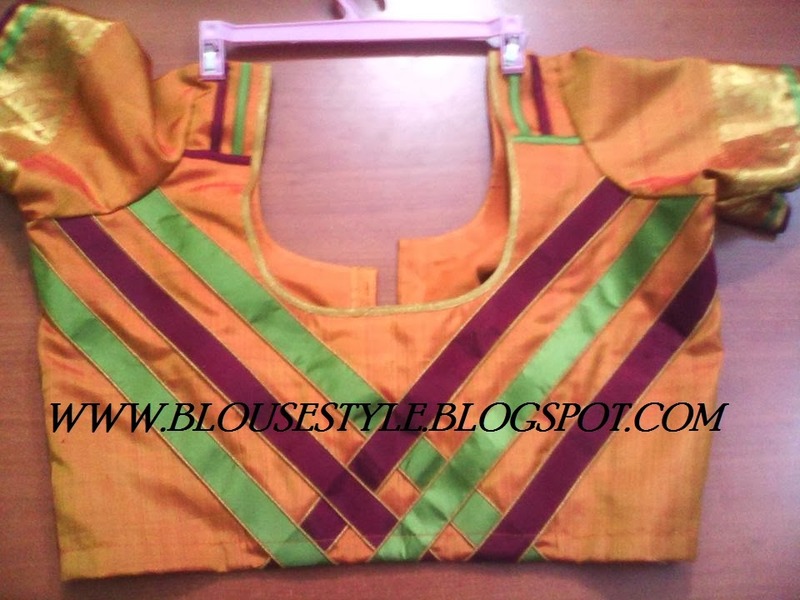 This blouse for orange colour and green colour silk saree blouse in different style stitching back neck . 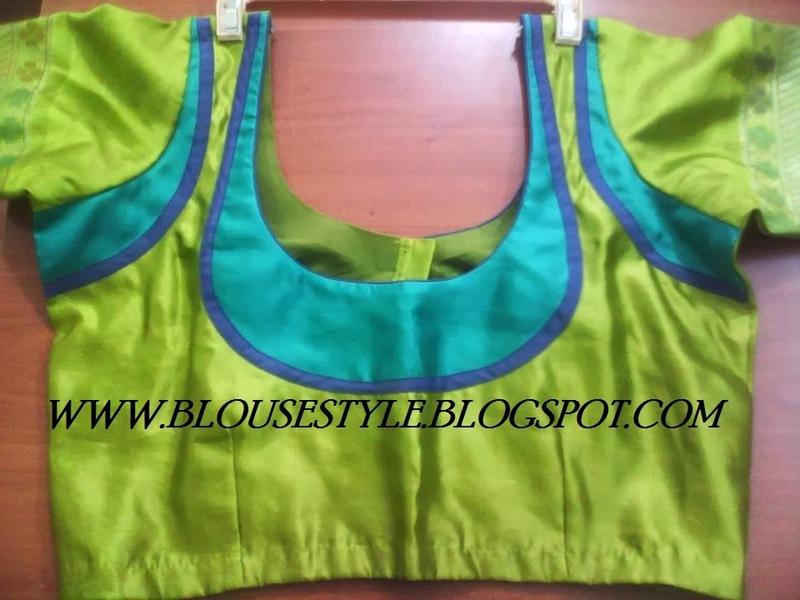 This blouse for green and blue colour round neck different style stitching silk saree back neck blouse.